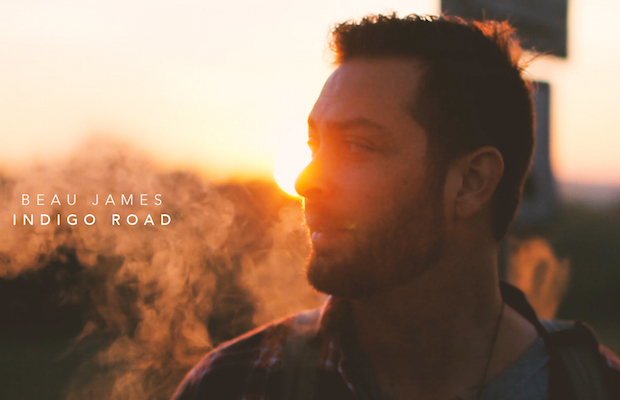 Local troubadour Beau James Wigington dropped his debut solo release, Indigo Road, in May of this year under the moniker Beau James, and it marked a departure from his previous work with his band The Heavy Heavy Hearts. He traded in the heavy hitting, hard driving blues rock, and bared his soul with some heartfelt tracks that lean more towards Americana. The record was recorded at Awake Studios in Nashville by another local musician that we have chatted about before, Nick Bullock. The tandem did an excellent job creating an album that simultaneously tugs at the heart strings, but reserves enough pop appeal to demand repeat plays. Today, we are excited to premiere the video for the title track of the album. The song, which was recently featured on an episode of Nashville, speaks of wanderlust and the journey of life, while the video features the artist’s difficult journey to live out his dreams in Nashville. Get hip to Beau James and the new video for “Indigo Road” below, and mark your calendar for his upcoming date at The Basement East on Nov. 24.